Mamata Banerjee today said her government was working for the all-round development of the hills by taking all communities on board and she was confident that "we will succeed one day", as the chief minister announced Kalimpong as the 21st district of Bengal. Gorkha Janmukti Morcha president Bimal Gurung welcomed Kalimpong subdivision's upgrade to a district but betrayed concerns over Mamata's move. Even though the chief minister did not mention the Morcha during her-20 minute speech at the inaugural function of the new district at Mela Ground in Kalimpong, she made it clear that development of the hills was the core issue. "Despite the GTA being totally responsible for the development of the hills, my government on its own had carried out a number of development works... unlike other districts in Bengal, I don't have the power to develop Darjeeling, even if I wish to. That power lies with the GTA. Even then, I thought of providing extra support so that it could be in your interest," she said. Asking people to have faith in her, the chief minister said: "My government is working for the all-round development of the hills by taking all communities on board. I have faith in you and I am confident that we will succeed one day." 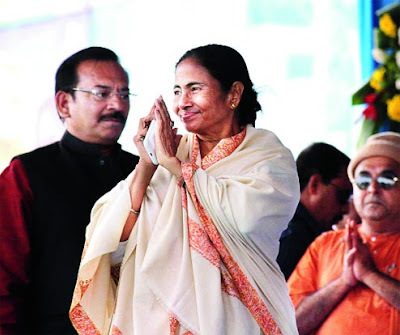 Mamata has set up or announced 15 development boards for different hill communities in what is an apparent bid to spread the influence of Trinamul in the hills at the expense of the Morcha. She is accused by the Morcha of pursuing a divide-and-rule policy by forming the boards. To loud cheers from the packed Mela Ground, Mamata said: "Today is Kalimpong day. I congratulate all of you...this was the demand of the Kalimpong people, not any individual's demand." In Darjeeling, Bimal Gurung welcomed the creation of Kalimpong district on grounds that it would help strengthen the Gorkhaland demand. "I am most happy that Kalimpong has been upgraded to a district. Earlier, we had to tell the Centre that I was representing only half-a district (as the statehood demand has little support from Siliguri subdivision of Darjeeling district) but from now, we can say that we have one-and-a half district." During the course of his address to party leaders at Gorkha Rangamanch Bhavan in Darjeeling, it was clear that Gurung was slightly rattled by the development. "We must all think why she is doing all this in the hills? She wants to win elections and our job is to ensure that we win all elections. I challenge her to declare elections from Kalimpong and we will win all the elections," said Gurung. Elections to civic bodies are due in the hills. "I will camp in Kalimpong from start to finish, and will ensure that we win Kalimpong," said Gurung. He asked the Morcha subdivisional committees to submit memorandums to district magistrates and SDOs demanding inclusion of Sipchu, Bagracote and Samsing, which are now in Jalpaiguri, in the Kalimpong district.